Over the time the way we listen to music has evolved increasingly allowing us to manage music in different formats. For example, three decades ago the music was stored on vinyl, and then cassettes changed that. Similarly, the clips were on Betamax and then it was used VHS. The years passed and finally it was able to store music and videos on a CD or DVD. If you miss your cassettes content and you want to enjoy them, you can transfer the contents to a CD or DVD and remember good times. The first step is to get a cassette player. If you kept one in good condition you’re lucky, but getting one is not even that difficult. Now connect an audio cable into the headphone jack of the player to the microphone input on your computer. 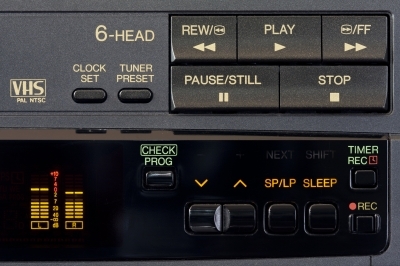 Open the Sound Recorder application on your computer, click on the cassette recording and play your cassette. Taking into account the volume of the cassette player, it must be half as full volume saturates the sound. Once finished playing, select Stop and save the file in the folder you want. The file is saved in wma format if you want to change the format you can use Windows Live Movie Maker. Once you have it ready, burn it to a CD. You can use Windows Media or any burner you like. We will teach you one of the easiest ways to transfer content from VHS tape to DVD. As in the previous case, you will have to get a VHS tape player and a device that allows you to capture video as EasyCap 2.0. Connect your device to your computer and install the software on your system. Now, using the audio and video cables connect the video player VHS to video capture device. Once done, run the device software, and choose the format you want for quality and the folder in which you will save your information. Now please play the video and click save. The recording time would be decided by you, when you stop it, it will stop recording. When you decide to stop the tape, the file will automatically be saved to the computer, in the location where you have indicated. Edit your new file, display it whenever you want and once you consider that it is ready to be burned to a DVD, do it by using any burning program. Now you know how to record the songs that you have not listened very much, do not waste your time and get a VHS or cassette player and follow the steps indicated, when you do so you will enjoy the music and videos that marked part of your life.